Looking for a reliable Connecticut limousine service for a special event? Well, what can be better than taking services from the company providing the most popular, reliable and exquisite services in Fairfield County CT since 1997. Yes, we draw back to that year. Residents of CT have ever been so satisfied with the Limo Services that we provide to them and their transportation worries flew away the moment we started provided CT limo service. We make sure that we provide you with the best rides and the exclusive services all the time, especially when you need them the most. Hence, we will be there to provide Connecticut limo service on your most special occasions. Our Limos will be there to make your weddings more grand and your proms more memorable. No wonder that a Limo is the right choice of ride and it is the dream of every couple that is getting married and every teenager attending his/her prom. Keeping that in mind, we offer you the best limo service that comes with timely services, clean rides, professional chauffeurs and all the best experience. Apart from weddings and proms, corporate CT limo service will be there to serve you on your graduation, a night out and pride as well. So every next occasion that you think is up next and is big enough, wait for it to get better if you take transportation services from car service CT.
Quick Reservations: Reserve online a Car with us. We provdie the Elite Norwalk car service and Business Class Limousine and Car Services. Some of our vehicles are used exclusively for Corporate Executives. Enjoy our JFK LGA car service from and to CT.
We offer Suburbans, SUVs, Sedans and Spacious town cars for transportation to and from all Major Airports. Our Norwalk limo service CT is here to assure you an affordable transportation service while never lacking in professionalism. For Corporate or Personal Transportation, CT Limo service and town car transport will always have the right solution to offer for your needs. We are never out of cars or chauffeurs, 24/7 availability guaranteed. Connecticut offers a grand nightlife. To enjoy fully, we have luxury CT limo and car services to take you to the parties. For our members and accounts, we offer exclusive discounted limo services CT while ensuring their customized requirements. Our services are available for the residents of CT, as well as for the people flying to CT from elsewhere. We offer unique car service JFK to CT, nyc car service CT to other airports like LGA, EWR and more. Connecticut limousine airport service will be there to pick you up right from the airport and take you to any place that you wish to go to from there. Your car service to JFK from CT or any other airpotris always safe and on-time. Most importantly, if you want to travel in a limo right from the airport, then we are here to give you what you ask for. Hence, corporate airport car service CT are available at all the times, so no matter what time you arrive in CT, we will be there to pick you up. All you have to do is to make a reservation with us before you fly to CT, and we will be there to pick you up exactly at the time that you want to get picked up at. Now we did claim that our limo services CT are best and the most popular transportation service in the city, we would like to bring into your awareness why we did. 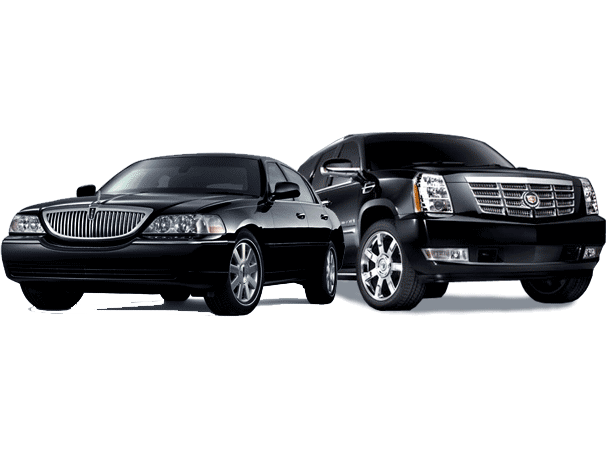 As the name of our company suggests, limousine is our forte, we provide the best limousines in town but along with that, our town cars are always there to pick you up from anywhere in CT and take you to your next destination, anytime with car service Norwalk and other parts of Connecticut. If you are planning a date night with that special one, then you may want everything to be very perfect. Hence, when you talk about perfection, you must then find our company keeping the banner of perfection very high. We will be there to make your date night a very exquisite one, one that would impress your date beyond any limits. Our CT limo service Norwalk provides Luxury Sedans in as well. So a luxury Sedan from us would not let you down on your date night. If you are planning to CT to get to the stadium, then we can not only take you from the airport to the stadium but your group of friends too who came to watch the game with you. Also, in an SUV from us, all of you can comfortably travel together and have fun together. Apart from the limousine, if you prefer a Sedan over limo then our executive black Sedans are much popular in the business sector. We will be there to take you in the car of your choice, this is what we claimed? Yes, we fulfill our promises. So our car and cab service in CT are not only limited to Limos, rather we offer you the best services with the best fleet. You can take a Sedan from us or an SUV as well, we take great pride in the choice of rides that we offer to our customers. You reach your destination on time. You do not have to wait for us to pick you up, we will be there before you are. Your airport car service from JFK to ct or any other airport is guaranteed. Not only will we confirm that you are transported safely to your university, but airport limo service CT will be there to offer you any other help. Our Norwalk car service provides Airport Transfers to JFK Airport, LaGuardia, Newark, Teterborough, Westchester, Bradely, Macarthur, Newburg Airport and Tweed New Haven Airport. While we like to keep only the latest vehicles in our fleet, before each trip, we ensure that the vehicles is vacuumed, smells nice, oil and tires pressure are all good to go. Your perfect Norwalk CT car service is our obligation. Be it JFK, EWR, LGA or any other Private or Commercial airport in the region, our NYC car service CT will provide exclusive and economical transportation solutions for CT airport limo services. Our regular quality check is not just on our vehicles, we undergo daily and weekly reviews and check ups on our chauffeurs to ensure both the passengers and chauffeurs are safe to be in the vehicle. We have a thorough chauffeur test before we hire our chauffeurs. We maintain a fleet of over 180 vehicles including town cars, luxury sedans, SUVs, vans and shuttles. Our CT limo service agenda is to serve the best chauffeured services in Connecticut for you, your family and your business. Our car service Norwalk CT provides instant reservations online and over the phone. We also take reservations online and call you back at your convenient time to confirm. Our foremost priority is professionalism and timeliness. Thereby, assuring and maintaining a team of trained and skillful chauffeurs only who are courteous and yet expert in their jobs. While our rates are highly competitive and most promising in the region, we never compromise on the quality. We are on time, every-time or even earlier to assure you never get late.